1Click [Folder] in the source browser. 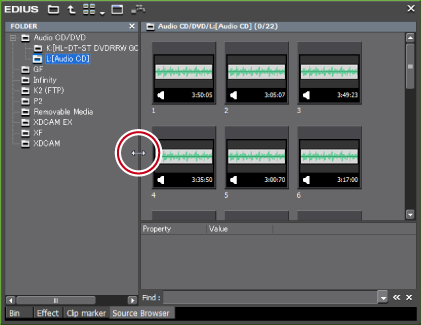 1Drag the border between the folder view and clip view of the source browser window, or the border between the clip view and the metadata view. 1Click [View] in the source browser.